Yesterday, the invite system started for the long waited flagship from OnePlus- the OnePlus 2. The OnePlus 2 will be sold just like the OnePlus One through the invite system and we can already see the craze on the social media and forums that people are craving for the flagship phone. So, here we are with our ‘Top 5 ways to get a OnePlus 2 invite easily’. In this brief article we will tell you about the Top 5 ways, which you can try to get a OnePlus 2 invite easily, so let’s don’t waste time and move on to the discussion. This is the easiest of all, and includes no complications or anything which may sound difficult. Just go to the invite page, enter you email ID and hit register. You should get a confirmation shortly. 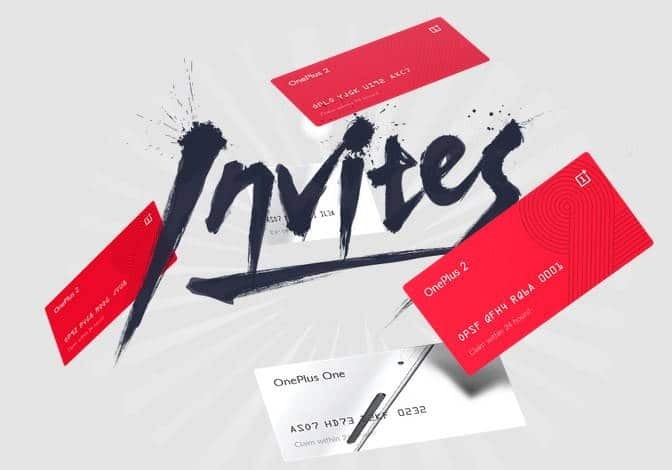 Just like the previous one, anyone who manages to get a OnePlus 2 will also get an invite which can be shared with friends and family. Usually, that shareable invite is valid upto 2 weeks. So, if you find any of your friends grabbing a OnePlus 2, just use this opportunity to grab another invite, and this will be active pretty soon. OnePlus will surely run contents and giveaways on their social media profiles, just be a frequent web stalker and keep visiting them on Facebook, Twitter and Instagram, so that you never miss a chance to get an invite via contest or giveaways. OnePlus has disclosed that they will be giving preference to forum members who have been active in OnePlus forum. They will be sending out invites to forum members based upon engagement, contests, giveaways that they conduct in the forum. So, join the OnePlus forum now. Most of the tech and gadget related websites giveaway invites to their fans randomly. Earlier, while OnePlus One was out we sent out invites to fans randomly or sometimes based upon engagement. You can expect the same this time as well. So, just be active on our social media pages, especially on Facebook because that’s where we giveaway this sort of stuffs.